Custom Connect, the carrier-neutral data communications provider, and Fuze, the leading UCaaS solution for the modern enterprise, are teaming up to introduce their respective offerings to their customers. When combined, they provide cloud unified communications over global networks with unparalleled performance and availability. Over the past several years, most mission critical business solutions have moved into the cloud to streamline and scale operations. Business communications is the next wave. As the global platform of choice for the world’s leading businesses, Fuze provides a cloud-based platform for executives looking to simplify business communications and empower their people through a single secure app. With Fuze, people can seamlessly collaborate on any device – over voice, video, and messaging – whenever, wherever, and however they want. “Communications are vital to enterprises. We offer advanced functionality for communications and customer contact from the cloud, matched by our service level agreement with five 9s. Our customers need seamless access to our software from any location in the world in a secure fashion. 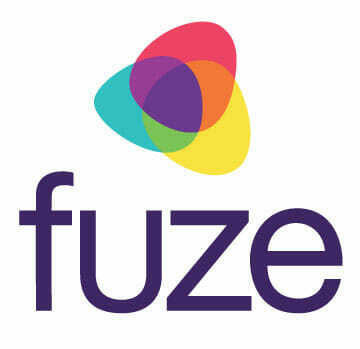 Therefore, we are very happy to be able to point them to Custom Connect’s best-in-class network offerings,” said Massimiliano Errigo, Area Director EMEA Channels at Fuze. Custom Connect is a global provider of carrier-neutral, global managed connectivity and infrastructure services. Its approach ensures customers receive reliable, integrated connectivity through a single point of contact. This lowers costs, improves network management, helps consolidate support and simplifies sourcing. Custom Connect’s specialism in developing and implementing low-latency networks, tailored to customer requirements, has made it a specialist in time-sensitive industries like finance, enterprise, retail, media and cloud services providers. For multinational organizations with complex infrastructure challenges, Custom Connect offers fully managed multi-site connectivity services, which includes site-to-site networking, local and centralized IP services, co-location services and data center connectivity. Every client receives dedicated project management and 24×7 support. Customers include the Fortune 500 and FTSE100, High-Frequency Trading Desks, banking institutions, Internet Service Providers (ISPs), premium retail brands, media organizations, cloud service providers, content providers and others. Custom Connect’s headquarters are in Amsterdam, Netherlands and it has regional locations in the City of London, New York and Dubai. For more information, please visit http://www.custom-connect.com. Follow the company on @custom_connect_.